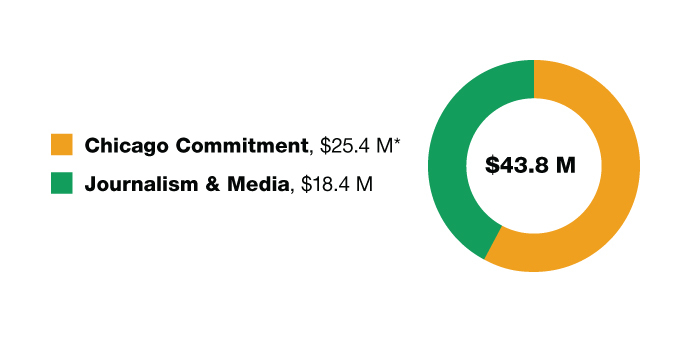 Over our 40-year history, MacArthur has awarded more than $6.8 billion to nearly 10,000 effective organizations and creative individuals in 116 countries and all 50 U.S. states, Puerto Rico and the U.S. Virgin Islands. 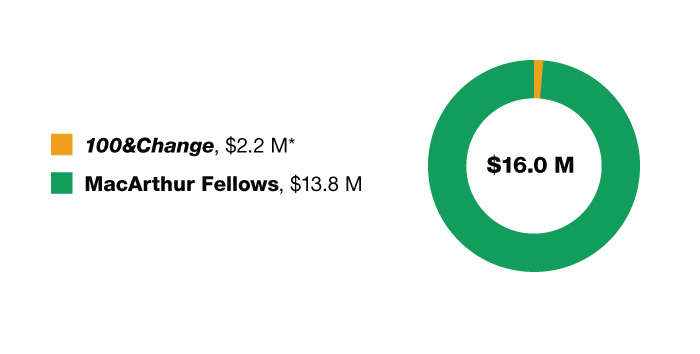 In 2017, the Foundation paid out $255.7 million in grants and impact investments to organizations and individuals in the United States and around the world. Actual cash paid out varies from year to year and will differ from the amounts budgeted because of the timing of the payment of grants, including large grants and those involving multiyear funding. 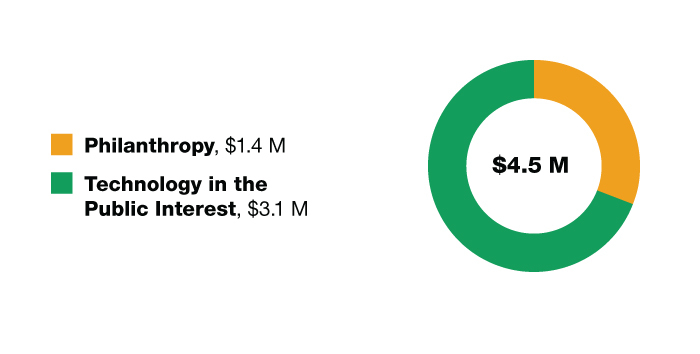 MacArthur's charitable administrative expenses totaled $49 million in 2017, about 14 percent of total charitable expenses. Program budgets are approved by the Foundation Board of Directors. Working pursuant to these budgets, the Foundation approves grants and impact investments and makes expenditures during the year. 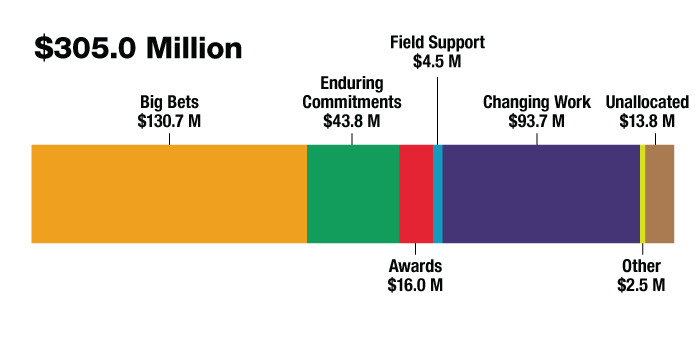 We share these budgets so that you can better understand the Foundation's priorities. 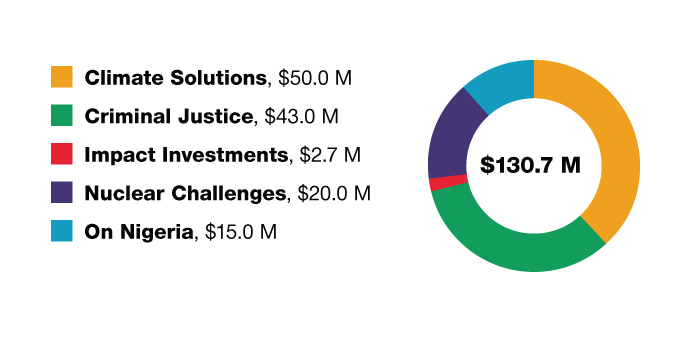 *In addition to grants, $21.7 million was authorized for impact investments. Striving toward transformative change in areas of profound concern, Big Bets are an all-in, timely commitment of talent, resources, time, and reputation toward real change that matters for many people. Chicago Commitment does not represent all resources made available to Chicago organizations or benefiting the city and its residents. 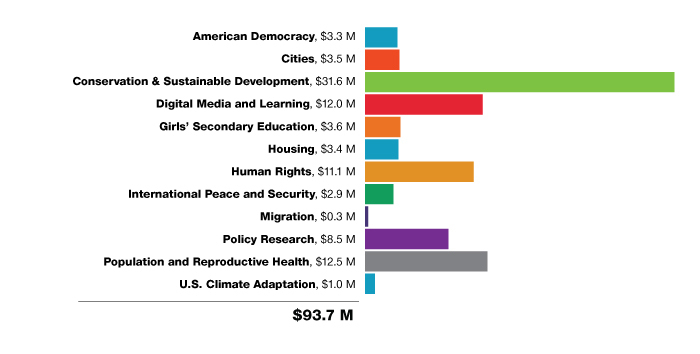 Such awards were made through other programs, including Cities; Climate Solutions; Criminal Justice; Journalism & Media; Migration; Nuclear Challenges; Impact Investments; and the MacArthur Fellows Program. *Payment of grants to the 100&Change $100 million award recipient and finalists will begin in 2018.